When you're listening songs on YouTube and doing some other tasks on your phone, you usually don't want to watch the video. Right? Unfortunately, YouTube app doesn't have any feature to play videos in the background. As soon as you move out of the app, the video stops playing. YouTube has another premium feature named YouTube Red which offers ad-free videos and background playback option, but it will cost you around $10 per month and probably you don't want to buy it. Here we have shared few simple tricks to solve this issue. 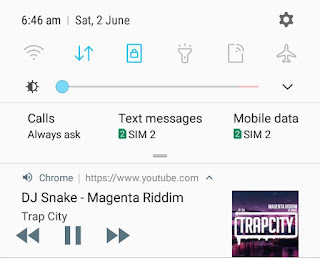 Now you can enjoy listening to your favorite songs on YouTube while doing other tasks on your Android phone at the same time. First, open Chrome browser and go to YouTube. By default, it will load the mobile version of YouTube. 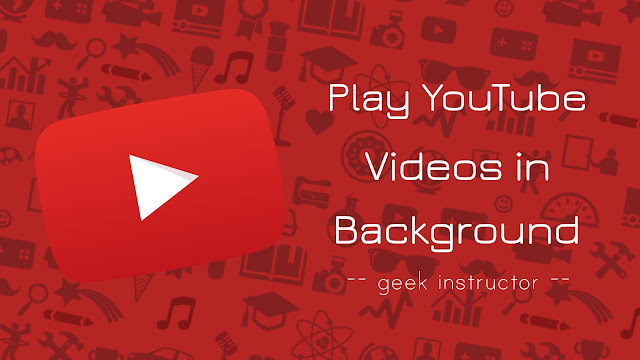 Next, find the video/playlist you want to play in the background. Now tap the menu button (three-dots at the top right corner of the screen) and click "Request desktop site" option. 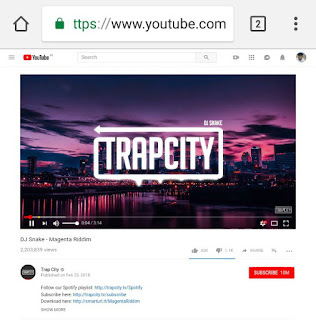 Once the desktop site of YouTube is loaded, play the video. That's it. Now even if you move out of the browser, the video will continue playing in the background. You can also control video playback from the notification tab. Tip: If you want to reduce the data usage on your phone, lower the quality of the video to 140p or 240p as you only need to listen the audio part. Google Play Store is loaded with so many third-party apps that can help you to play YouTube videos in the background on your Android phone. Floatube is one of such app that I would recommend you to use. This app is basically a browser made for YouTube, having the ability to resize and adjust the app screen. Floatube plays YouTube video in a small window which you can adjust anywhere on your phone screen. If you want to hide the video playback screen, simply tap the floating button. You can also set the default video quality in settings. There is another app available on Google Play Store called Floating Player. Unlike Floatube, it plays YouTube videos using APIs. 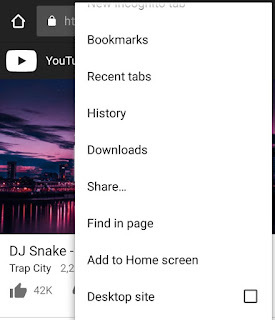 You can also connect your Google Account to it. 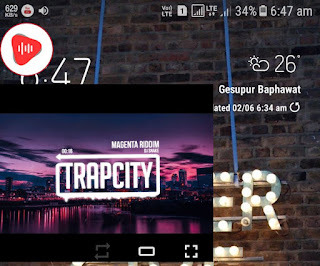 So these are two simple methods to play YouTube videos in the background on your Android phone. We hope you find this guide helpful. If you want to ask something, please do share it in the comment section.